In this episode of 'Price Points', Epicurious challenges knife expert Geoff Feder to guess which knife is more expensive. Feder breaks down paring knives, chef knives, boning knives, and serrated knives. For each type, the connoisseur looks at and tests each knife before guessing which knife costs more. Once the prices are revealed, Feder explains why a specific knife costs more and dives into specifics on how each knife is made. 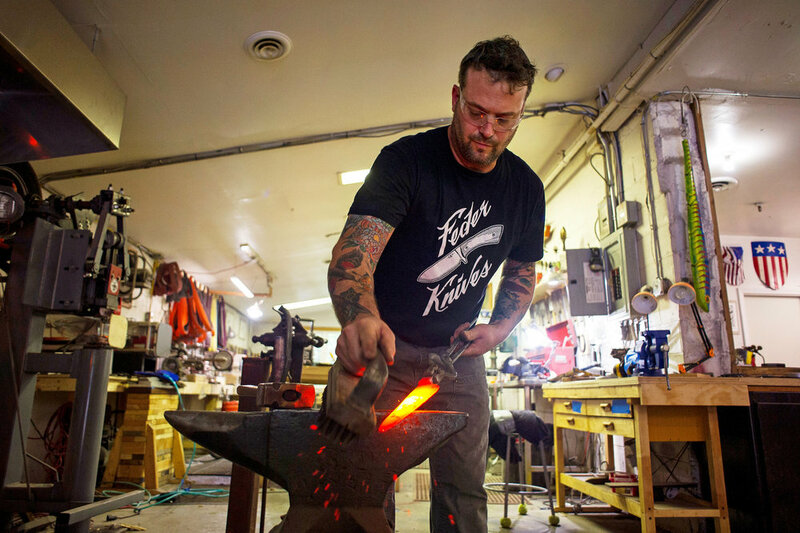 “For years it’s been an amazing artists’ community intermingling with a lot of firefighters,” said Geoff Feder, 44, a blacksmith, sculptor, knifemaker and Manhattan native who moved to Peekskill in 2004. One of his autumn projects will be heating up steel guns, forging them down, and welding them back together for a sculpture to be displayed outside River Outpost Brewing Company, at the Factoria at Charles Point.